Government of Hassan Rouhani has responded to the demands of Mehdi Karroubi, an opposition leader who was on hunger strike in house arrest. Karroubi is demanding life without surveillance and presence of security officer as well as a public trial. As such the ailing 80-year-old has ended his hunger strike which has sent him to the intensive care unit of a hospital in Tehran. On 17 August Mohammad Karroubi, Mr. Karroubi’s son who has been living in exile, announced that government officials have been in contact with his family and have responded to his father’s first demand: ensuring that security forces leave their father’s home. Mohammad Karroubi wrote on twitter that the Minister of Health, Hassan Ghazizadeh Hashemi, as well as Pourfallah, the deputy Minister of Intelligence on homeland security issues have announced the departure of security forces from his father’s house. “Hashemi has explicitly guaranteed that he and the government will execute this matter…The hunger strike ended.” Karroubi’s son writes. Karoubi’s second demand however, request for a public trial, is out of government’s jurisdiction and falls under the jurisdiction of the state; that is the supreme Leader of Iran and his appointees in the judiciary. However, Karroubi’s son wrote in another tweet that the government will try to fulfill his father’s second demand, which is a request for a public trial. Mr. Karroubi and two fellow reformist opposition leaders of Iran’s Green Movemnet, Mirhossien Mousavi and Zahra Rahnavard have been held captive without charge and at house arrest as of February 2010. Mehdi Karroubi who started hunger strike after dawn prayers on 16 Aug 2017, was soon taken to intensive care unit in Tehran’s Shahid Rajai Hospital. Mr. Karroubi is living with a heart condition and was taken to hospital in July 2017 for arrhythmia. He is now living with a heart pacemaker. Mehdi Karroubi’s is expected to stay at the hospital for at least two days because of complications related to his heart disease. Mahdi Karroubi’s health conditions deteriorated as result of the hunger strike and Etemad-e Melli reported that Karroubi was transferred intensive care unit as of last night. Over the past 24-hours, there has been much lobbying and some government officials have taken a stance to address Mahdi Karroubi’s hunger strike. Mehdi Karroubi’s demands have stirred widespread controversy across the country with his hunger strike. While the Minister of Health announced that Karroubi’s condition is stable after his transfer to hospital from house arrest, National Trust Party spokesperson says that his condition is critical enough to be at the intensive care unit. 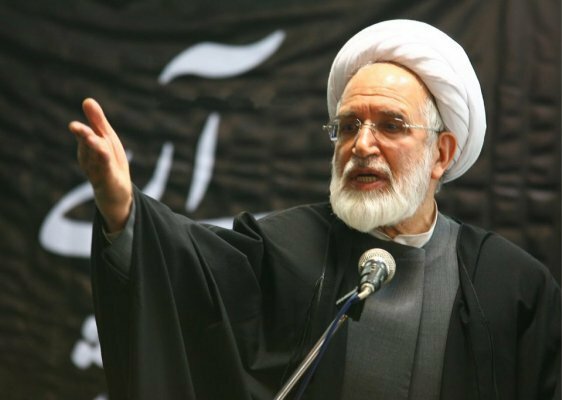 Hassan Khomeini a top supporter of the opposition leaders Karroubi and Mousavi, has expressed serious concern regarding Karroubi’s health in view of the hunger strike. Meanwhile, conservative factions of the establishment have described the strike as “a new conspiracy” against the regime. Mr. Karroubi has on a number of occasions protested against the omnipresence of security officers at his home at all times and has once more called for a fair and open trial where he could face any charges the state would bring against him. While IRI’s Supreme Leader has put him and MirHosein Mousavi, the other challenger of the results of the 2008 presidential elections, under house arrest for over seven years, they have not been formally charged. There have been repeated attempts by moderate figures to secure the release of these opposition leaders but so far Iran’s Supreme Leader Ayatollah Khamenei has blocked all attempts. While accusing them of sedition, Khamenei has maintained that the treatment that is being meted out to them is already “lenient”. Ali Motahari, Tehran MP has commented on Karroubi’s situation saying his demand for an open trial is rational adding that he will never succumb to the state’s hope that he will make a public statement of repentance. The news of Karroubi’s hunger strike appeared while parliament was in session and engaged in review of President Rohani’s cabinet nominees. Hassan Kavakebian, an MP from Tehran called on the president to inquire into Karroubi’s health and also investigate the issue of security officers’ presence at his home. The Omid faction of parliament, a group of reformist MPs, had announced recently that they have established a committee to achieve an end to the house arrest of Karroubi as well as MirHosein Mousavi and his wife, Zahra Rahnavard. Mohamadreza Aref, a senior reformist MP has announced that he has contacted the head of judiciary as well as senior clergy leaders to highlight the problem of Mehdi Karroubi’s hunger strike. Meanwhile Iranian citizens expressed their concern for Karroubi on Twitter and Karroubi became the top trending hashtag in Iran. On the other hand, Keyhan daily which represents the views of the country’s ultra conservatives reported today that during Karroubi’s recent hospitalization, he was visited by a number of opposition figures “planting in him the temptation to start a hunger strike”. Jahan News, a conservative website, referred to the events in its editorial as a “new sedition” saying it is the result of “seditious agents” meeting with Karroubi in hospital. It argues that the hunger strike is a reaction to the “failure of the reformists to influence the makeup of the Rohani’s cabinet”. It goes on to state that even the death of Karroubi will not create an opportunity for reformists to rally their supporters and concludes that the hunger strike should not be taken too seriously.